With some hesitation, because of the low light and weather conditions I decided to go ‘mushroom hunting’. Like yesterday there was a lot of wind. The ground was very wet and the temperature was mild, a good combination for mushrooms to grow. Local people say that when we have a full moon mushrooms grow best ?! I found what I was looking for, some very small Bonnets and one of my favorite mushrooms the Amethyst Deceiver. Because of the wind I decided to try out some different Soft Focus shots with color contrast. Not an easy task when everything blows away around you. A stable underground is a must, so I set my tripod very low to the ground and my little silver reflector screen provided the mushrooms with enough light. Because of the overcast day the colors gave a nice clear contrast. I like to play with the point of focus in the image frame. 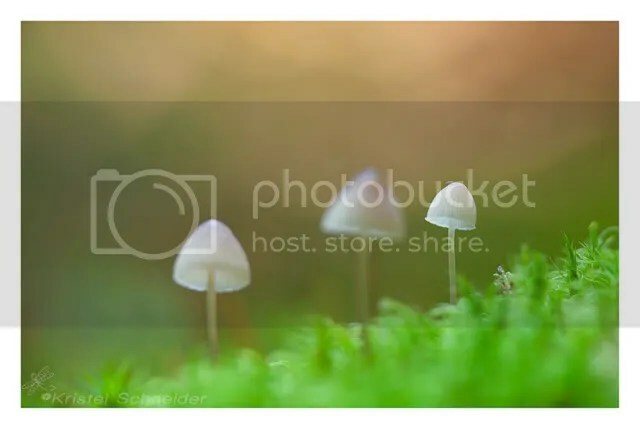 In this image I focused on the tiny little mushroom with a small fly on it. 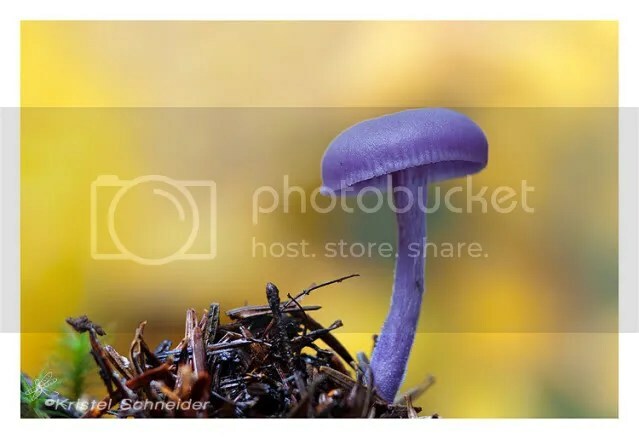 Look for more mushroom images in my Mushroom and Fungi gallery.